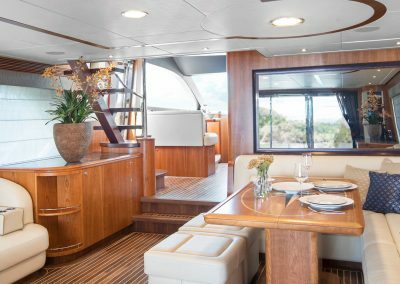 Launched in July of 2017, the 27,80 metre Flybridge MY Anemeli is built by the well-known and highly reputable shipyard Van der Valk in Holland, with Nautimar Marine acting as Owner’s Rep. 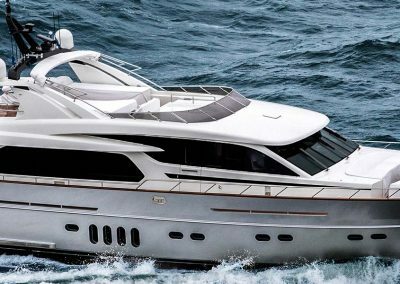 Designed by Guido de Groot and incorporating naval architecture by Jaron Ginton, Anemeli is one of the first Van der Valk yachts to feature a fast displacement hull design and it incorporates some very specific requirements by her highly experienced owner. 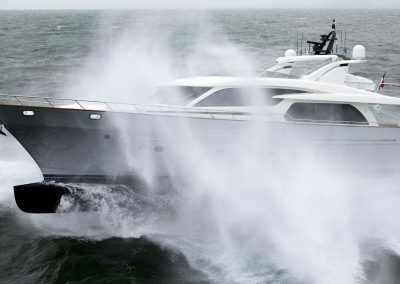 Her all-aluminium, round-bilged fast displacement hull with a bulb on the submerged section artificially extends the waterline. 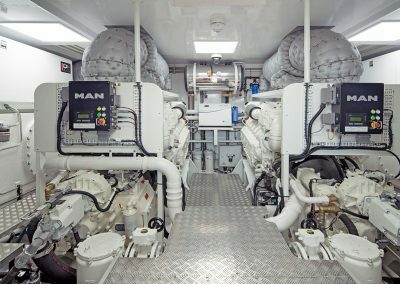 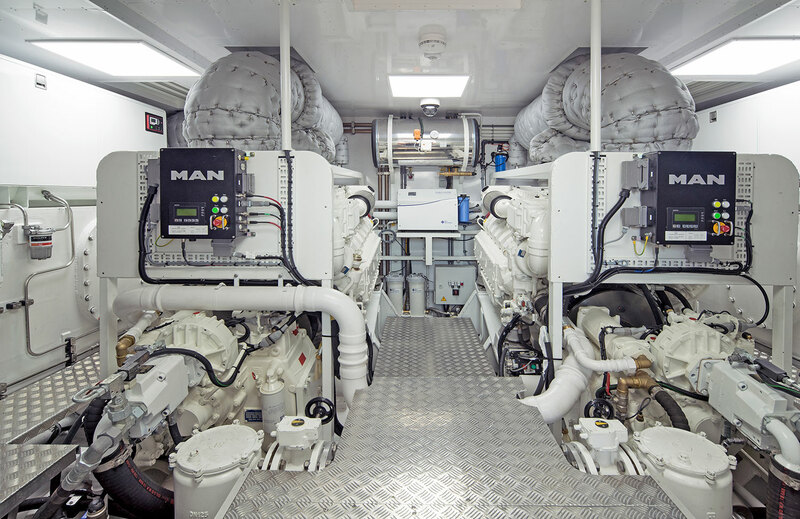 Combined with her powerful pair of MAN V12-1900 engines, this offers a more than excellent level of speed and fuel efficiency, way better than anything comparable in size. 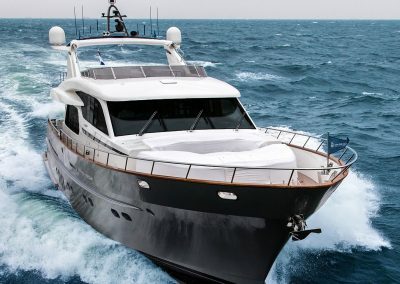 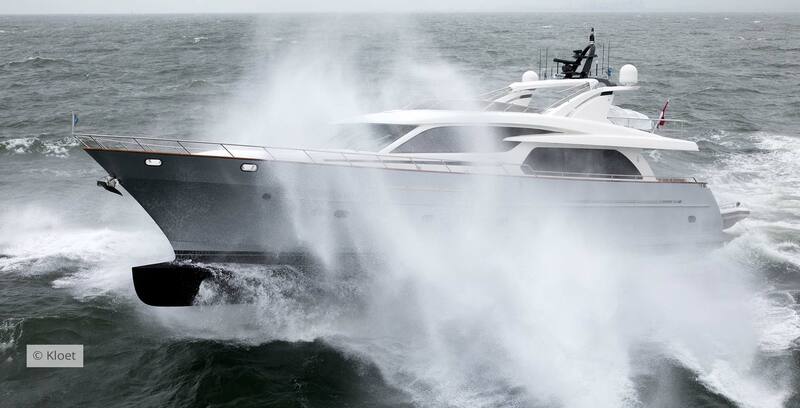 Anemeli is capable of speeds in excess of 30 knots and it can effortlessly cruise at 23 knots, as per owner’s brief. 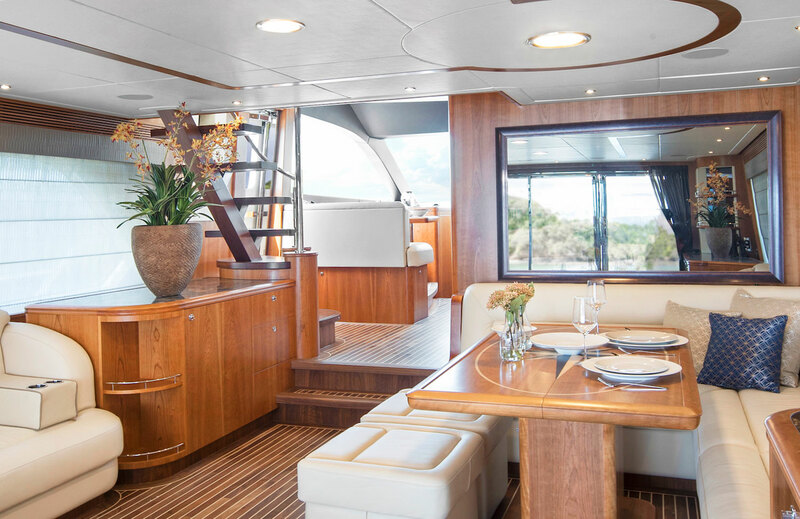 This striking 27-metre motoryacht boasts a stylish silver metallic hull colour and a timeless interior. 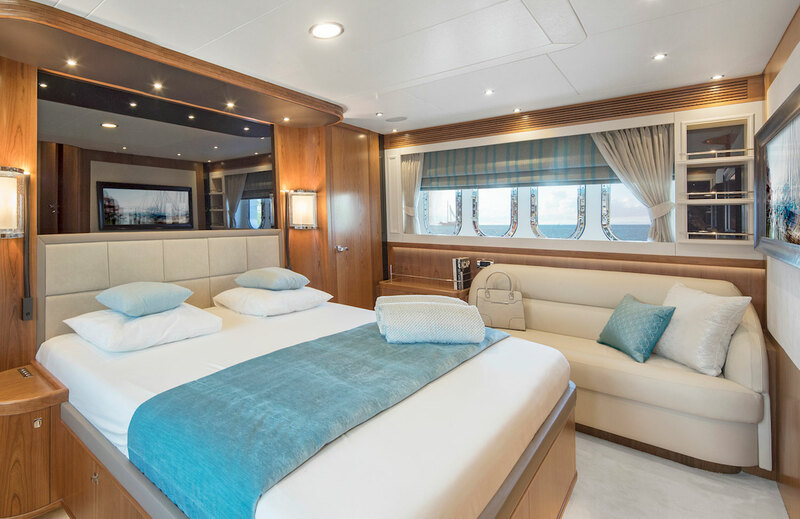 The 6.72-metre beam ensures an exceptionally spacious interior with lots of lounging space and ample accommodations. 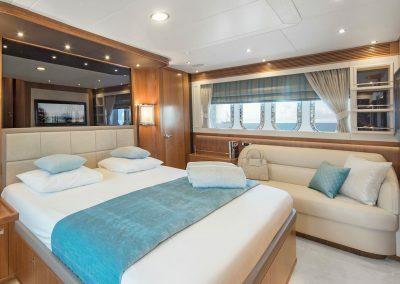 The accommodation plan is straight forward with a full-beam mid-ships owner’s cabin with a VIP forward and two twin cabins port and starboard. 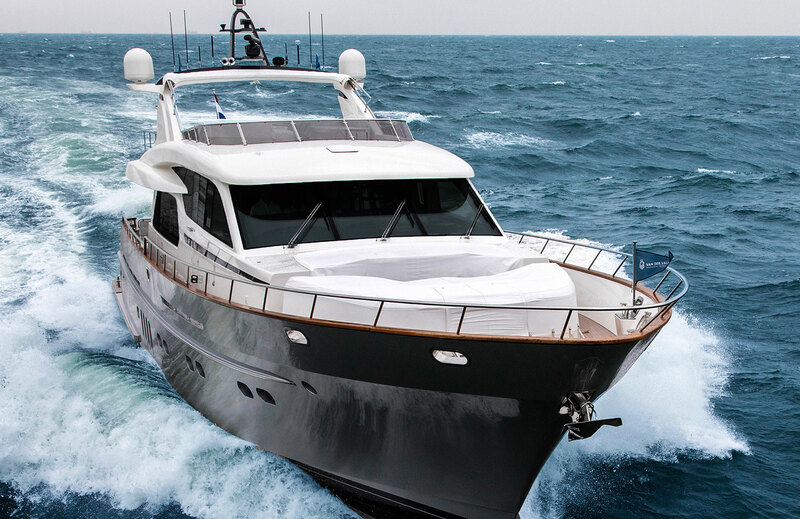 You can see more about this unique, fully custom-built Nautimar Marine project, here.